For more than 13 years, Adventure Life has been developing personalized travel itineraries to immerse clients in cultures around the world. Travelers speak directly with the team responsible for planning their trips and get the opportunity to discuss their interests and preferred travel lifestyles. 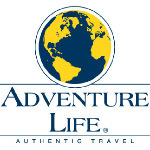 Adventure Life has received positive reviews for this personal approach. Earning praise in reviews in USA Today, The New York Times, Conde Nast Traveler, and National Geographic Traveler, Adventure Life has been selected as the go-to resource for travel in the Galápagos Islands and Peru. The company also develops specialty tours for various niches. Festival tours bring clients to countries during fun and engaging festivals, such as the Easter Festival in Guatemala and the Tango Festival in Buenos Aires. Adventure Life also creates tours for student groups and independent travelers. While the company began with a specialization in Latin America, it has expanded to setting up tours for groups of all sizes throughout South America, Central America, Europe, the Middle East, and Antarctica. The Adventure Life team includes adventurous world travelers who draw on their experience to design fulfilling, exciting, and safe trips for clients. The team is also committed to responsible travel, which includes doing volunteer work and contributing to grassroots endeavors, such as the Rainforest Alliance. Adventure Life is careful to ensure clients’ comfort and safety in their travels, whether they are visiting an indigenous town or traveling on a large vessel. With years of travel experience, the company’s staff has built relationships with residents in countries around the globe, earning access to interesting and informative local historians, biologists, chefs, and adventure guides. Through these relationships, the team connects travelers with a truly enriching experience. To learn more, visit Adventure-Life.com.